Monday - Thursday - 8:00 a.m. to 5:00 p.m.
Friday - 8:00 a.m. to 3:30 p.m.
Coming from North San Bernardino: Take Waterman Ave South to Hospitality Lane. Turn Right on Hospitality Lane, take the first Right on South Business Center Dr. The office complex is on the Right. Turn Right into the driveway and proceed to the back of the complex. Kiyan Optometric is located in the middle of the first cluster of offices, Suite 2A. Coming off Interstate 10 Freeway: Take Waterman Avenue North exit. Turn Left on Hospitality Lane, take the first Right on South Business Center Dr. The office complex is on the Right. Turn Right into the driveway and proceed to the back of the complex. 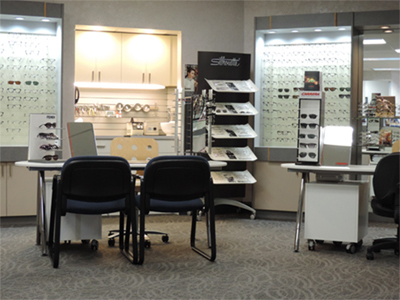 Kiyan Optometric is located in the middle of the first cluster of offices, Suite 2A.